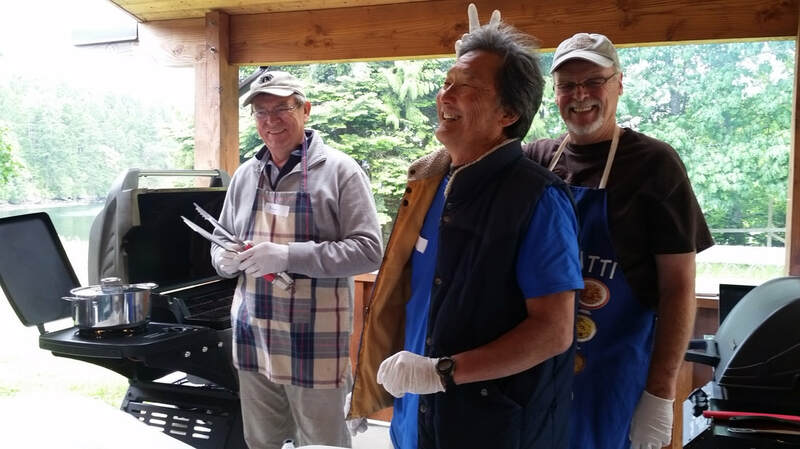 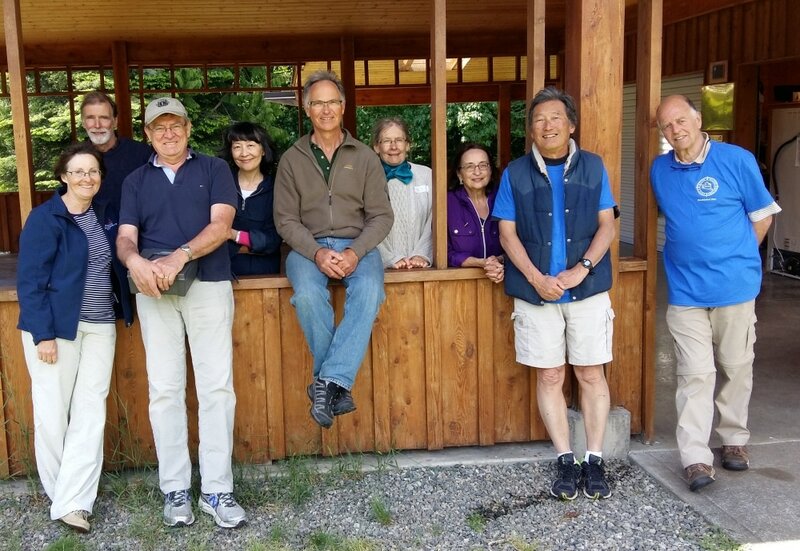 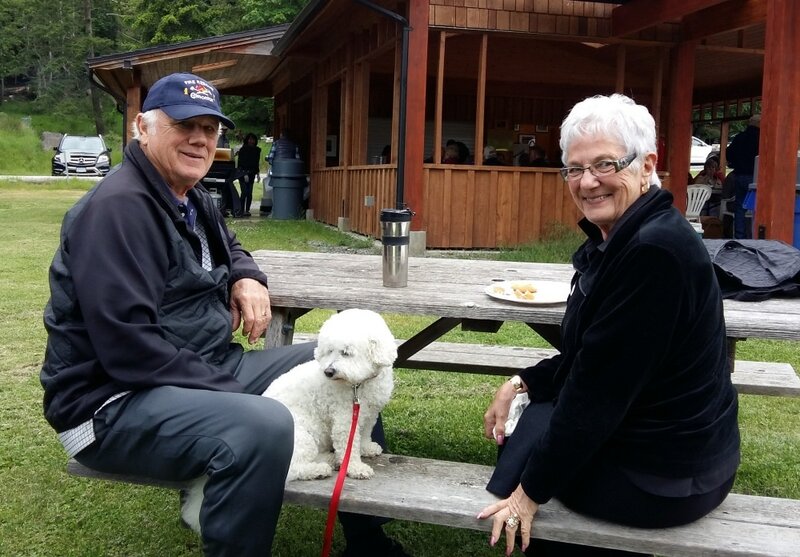 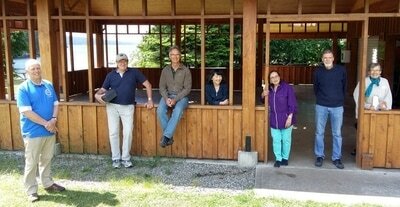 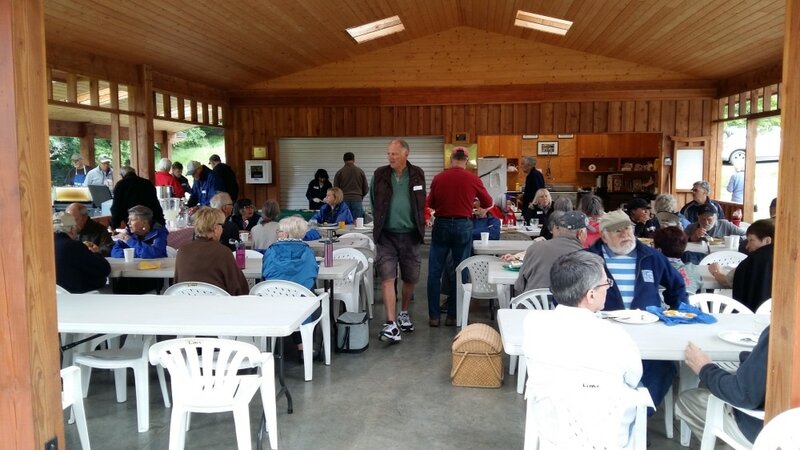 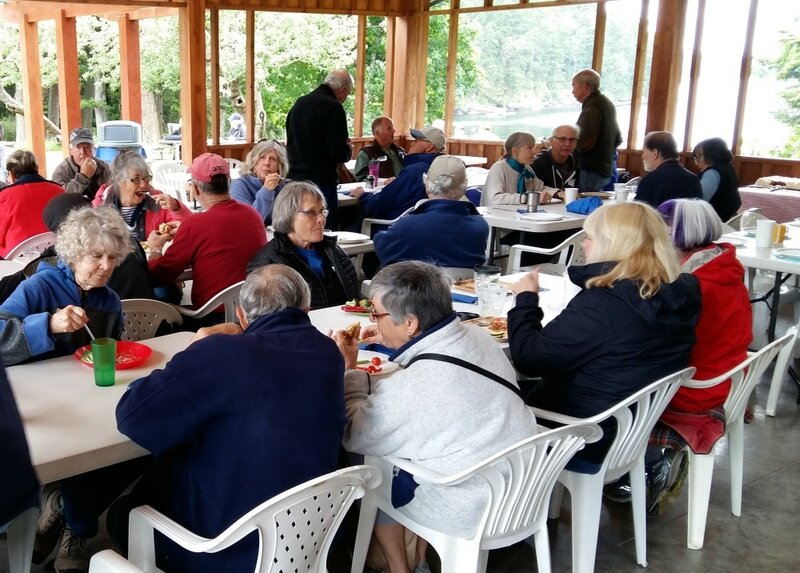 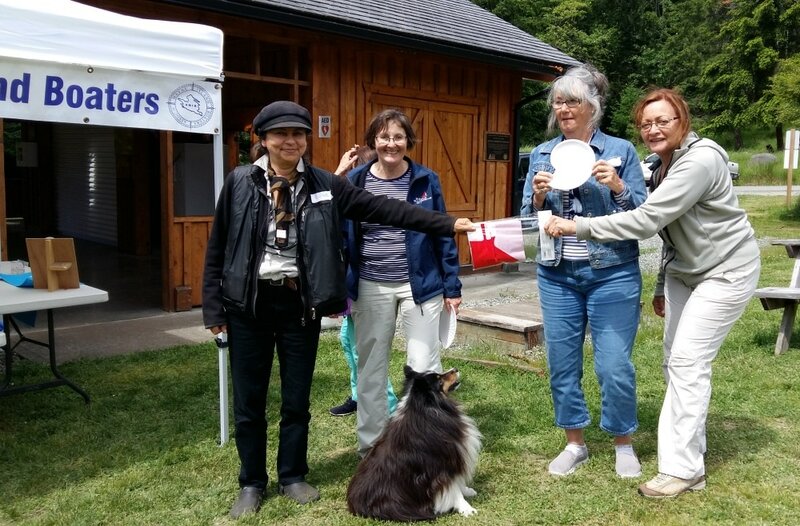 Sixty-five AMIB members turned out for our annual picnic at Dinner Bay Park. 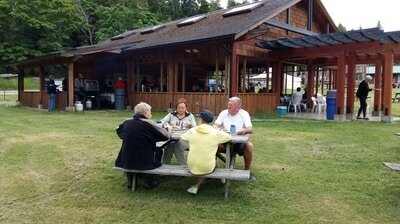 The weather cooperated enough to let several groups eat outside on the picnic tables. 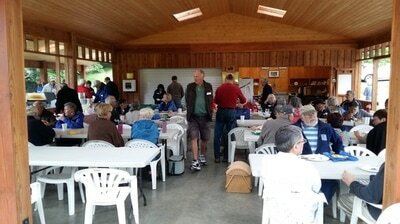 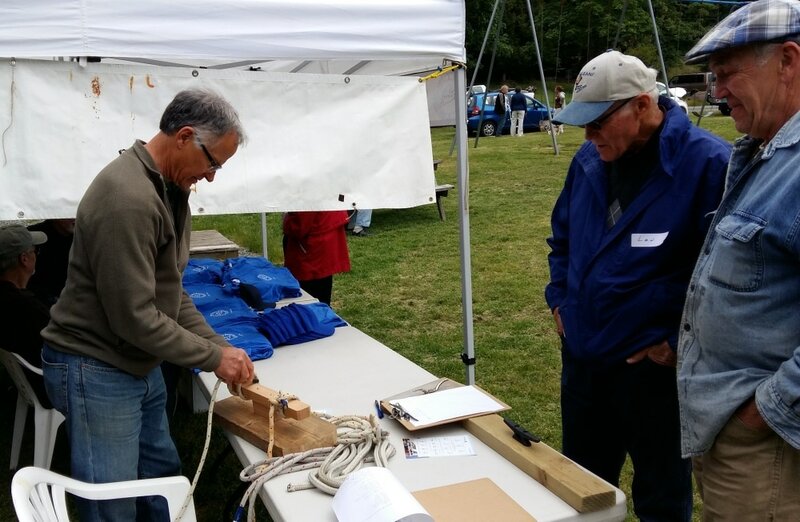 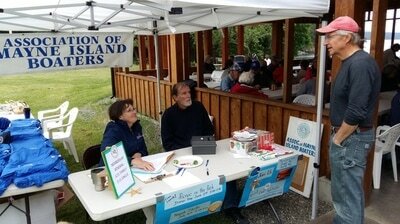 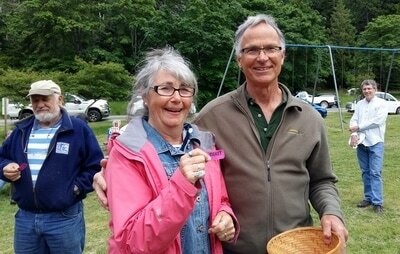 The day included a buy/sell/giveaway "Boot Sale", free hamburger lunch, 50-50 raffle, and prizes for disc golf, knot tying and bocce. 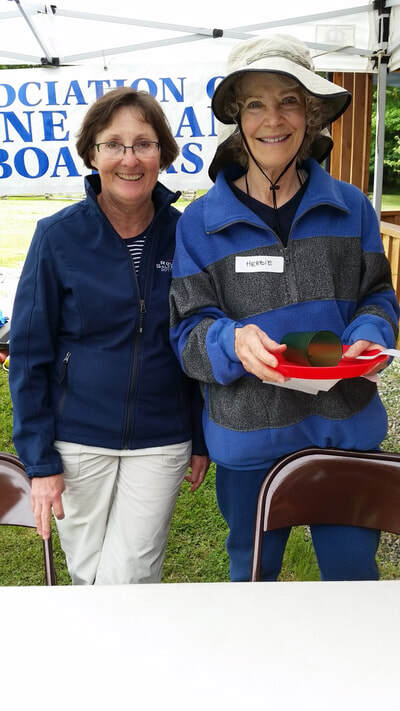 AMIB members for planning and helping with setup and cleanup. 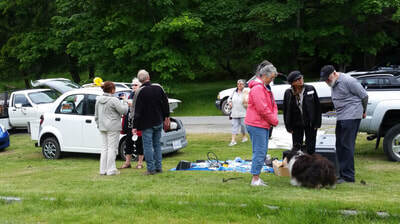 Tru-Value for discounts on food. 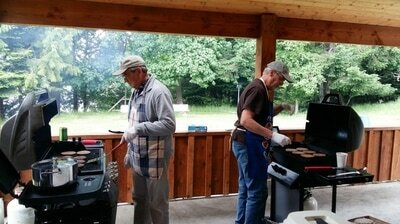 The hamburgers received excellent reviews! The delicious carrot cake was purchased from Sunny Mayne Bakery.